The Montecito Clubhouse has four lighted tennis courts. 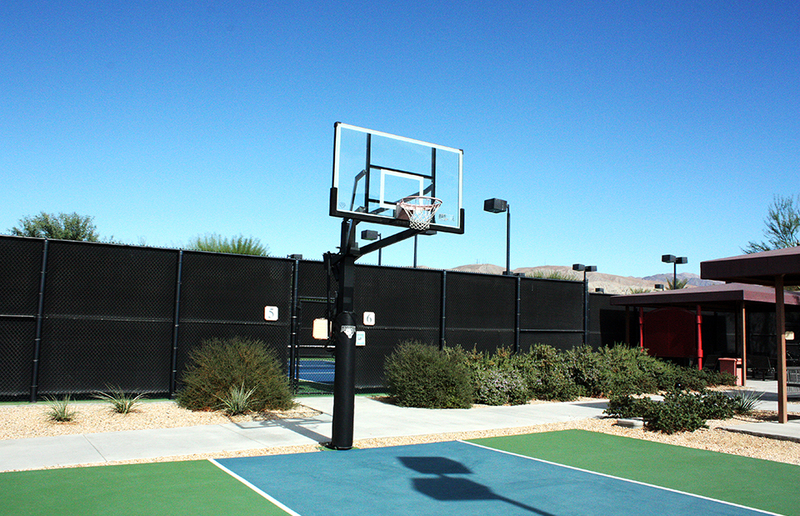 The Santa Rosa Clubhouse has two lighted tennis courts, six Pickleball courts, and one basketball half court. 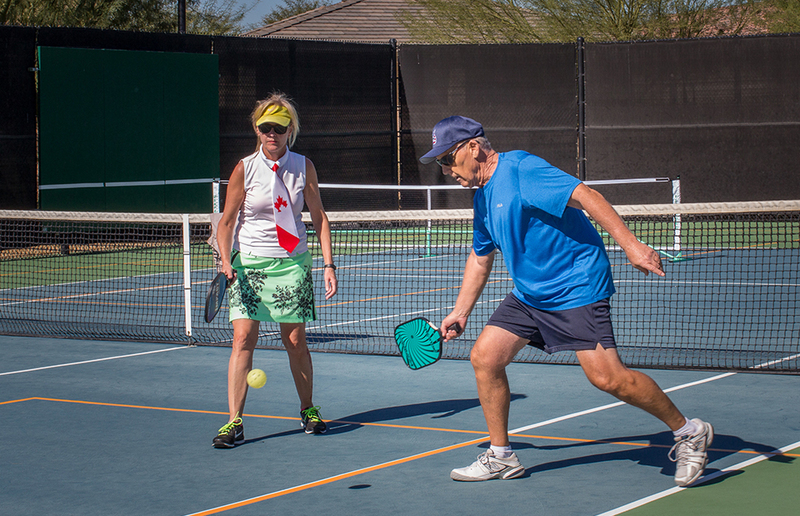 When clubs are not using the courts, they are available for general resident use. 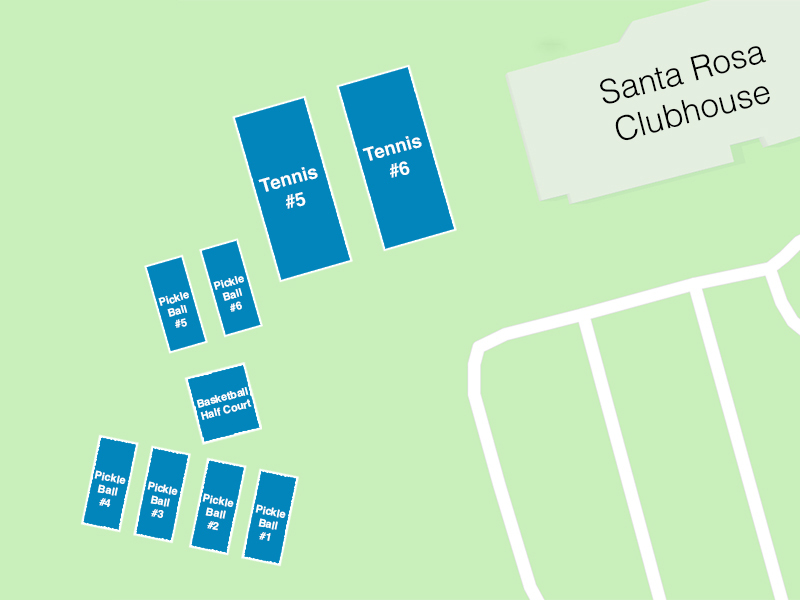 The two tennis courts at Santa Rosa Clubhouse are always available for non-club use. The reservation schedule for the day is posted outside the courts. If the court has not been reserved, the policy is first come, first serve. Courts can be reserved up to one week in advance beginning at 7:00 AM. Residents may reserve a court by calling the Montecito Fitness Center at (760) 345-4349 Ext. 2111 or the Santa Rosa Fitness Center at (760) 345-4349 Ext. 2201.